DO NOT admit liability or blame, or offer to make any repairs yourself. It's up to the insurance companies to ascertain who is at fault. If it's a minor incident and there are no injuries, move the car off to the side of the road. If it's a severe accident and there are injuries, leave the car where it is. Switch off the ignition, and activate emergency hazard lights. If anyone has been injured, call 000 and ask for the police or ambulance, in order of urgency. Police should be notified if a person has been injured (even if they don’t need urgent medical attention), or if there is damage to property or livestock and the owner is not at the scene, or if you suspect the other driver(s) to be affected by drugs or alcohol. The best way to do this is to take a photo of their licence and car number plate and test their phone number by calling it. If a third party does not have an Australian drivers licence you should also take a photo of another valid identification that preferably has their current address listed. If the other driver does not stop, or refuses to give their details, record their licence plate details and contact the police. Make a note of the circumstances surrounding the accident. If there were any witnesses to the incident, ask to get their contact details and if they are happy to provide their version of events if required. They should be an independent witness – that is not someone already known to you or the other party. 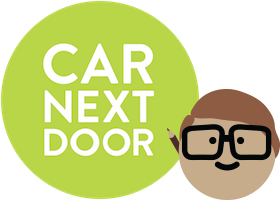 and email them to members@carnextdoor.com.au. Report the incident (along with the other party's details you've collected, if relevant) to members@carnextdoor.com.au as soon as possible. We may ask you to complete the collision or damage report form. If the accident was minor and the car is safe to drive, you can continue your journey. Otherwise, call us so that we can arrange to have the car towed. You may then leave the area as long as no one is injured, all parties have exchanged particulars and no one is under the influence of drugs or alcohol. However, the crash must later be reported to the Police Assistance Line on 131 444 (NSW) or to your local police station (in Victoria) – you can look up the number by clicking here. We will let you know if you need to pay your Damage Cover Liability amount - see then instructions on how to pay it. Detailed information about how we manage incidents of damage to a car, including where a Borrower has caused damage; an Owner has caused damage; or it is not possible to work out who is responsible for damage, are set out in our Damage Policy. If you have an accident in your own car and it needs repairs, please contact us. We can recommend trusted repairers, and help to get your car back in action. The damage, including one close up and one from further away that shows the entire panel for easy identification of damage location. Two or three photos are enough. If you're contacted by a third party's insurance company, just tell them to call Car Next Door on (02) 8035 8000.